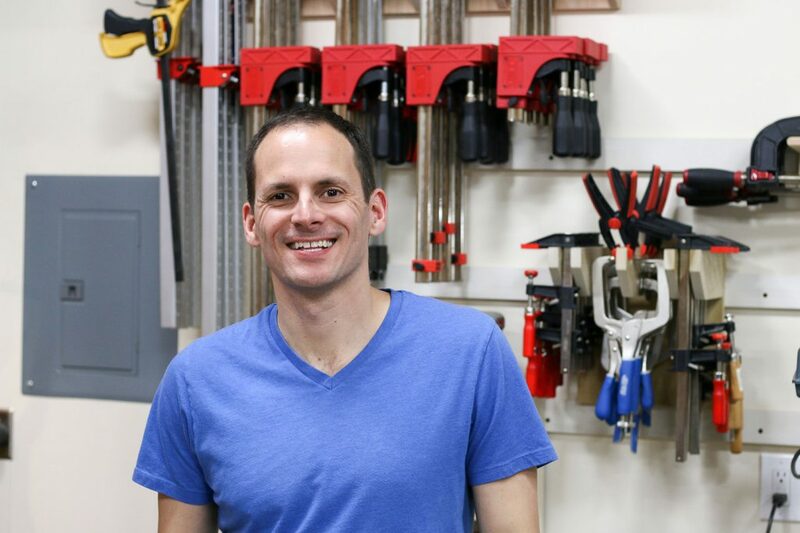 Brad Rodriguez of Fix This Build That, is the epitome of the modern day woodworking and DIY expert. He shares his amazing work on multiple platforms including his popular website, Instagram page, and YouTube channel. Unlike the shows that inspired him (Ask This Old House), his projects are accessible in a multitude of ways, and he’s crushing it everywhere. 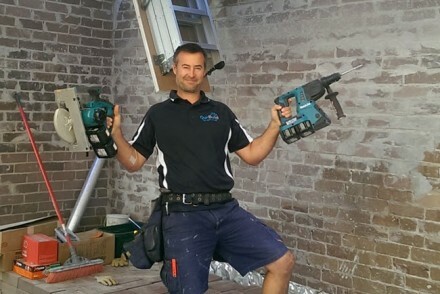 We first took notice of Brad and his awesome flip top tool stand, which we can’t wait to build. 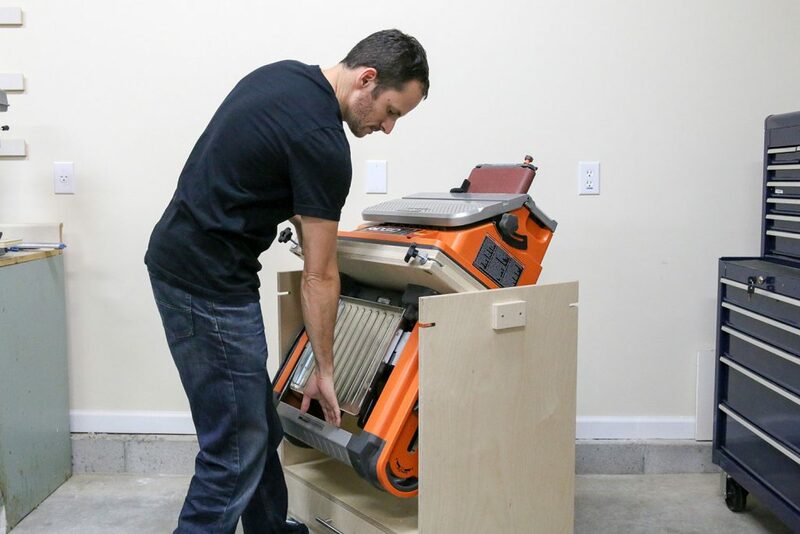 We’re also pining to build his patio cooler and grill cart, which would be a perfect addition to our BBQ and outdoor kitchen area. 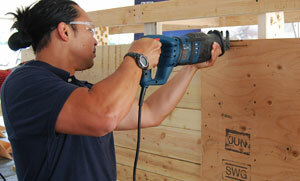 Who introduced you to woodworking and making? For me it wasn’t so much a person as a group of people. I was in the Boy Scouts for almost 10 years and grew up doing tons of projects, campouts, Pinewood Derby’s, etc. Those experiences taught me some great life skills and built a love for problem solving, working with my hands, and being resourceful. My parents and I really had no idea what we were doing, but my knowledge really started growing after college through TV shows like The New Yankee Workshop and Ask This Old House. Those two shows are the ones that really got me hooked. Eventually I subscribed to every woodworking magazine I could get my hands on (YouTube would’ve been nice back then), took a few woodworking classes and have been doing it ever since. The thing I love most about my current shop is how accessible and inviting it is. My shop is in an attached garage with 11′ ceilings. Walking out of my shop into the house my office is on the left, a bathroom is straight ahead and the kitchen is on the right. So basically anything I need is within 15 feet of my shop door. I think this is so huge because it reduces my “barrier to entry”. Before this I had shops in 3 other houses and they were all in basements with 7.5′ ceilings. For whatever reason it always seemed to be out of sight, out of mind for me in those shops. 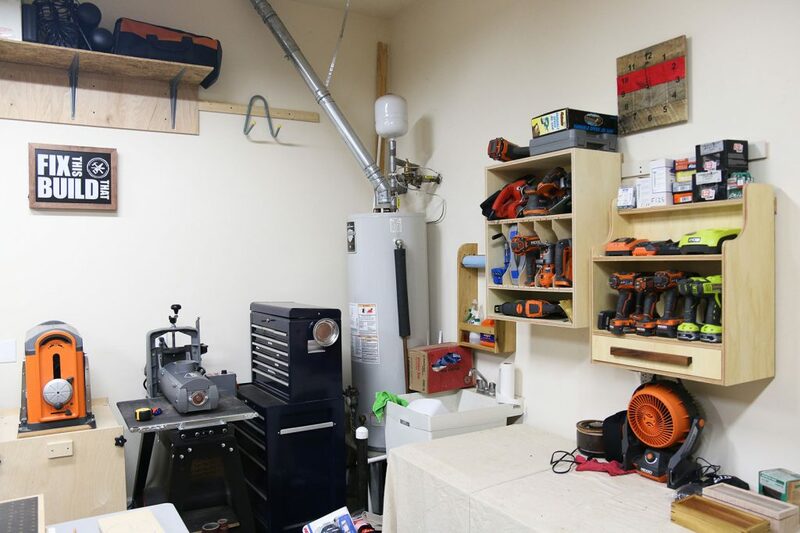 I had no general reason for going to the basement so I’d go weeks without stepping foot in them and when I was in the shop it was a cramped area with low ceilings. If I climbed those stairs to get something from the house the odds of me coming back down reduced drastically. We moved in 3 years ago and ever since then I’ve been on fire for building and being in the shop. I know for sure it’s because of how accessible my shop is. If I’m not working in the shop one day I’ll be in the garage grabbing the kid’s bikes or throwing something in the recycling bins. And for those few seconds I’m there I see my tools, see my projects and it just becomes a constant pull to get back in the shop. In a fire what tools would you save above all others? 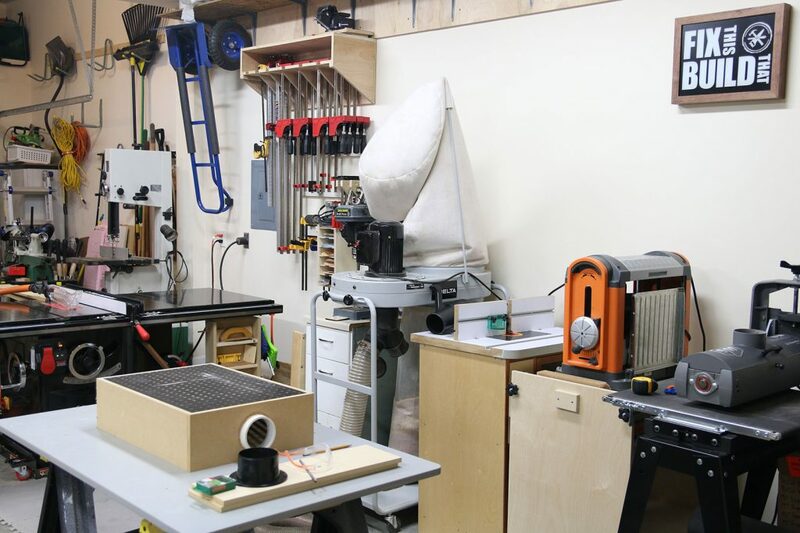 I’ve built my tool base up over the course of the last decade and love all my tools. That said, almost everything in my shop is easily replaceable. 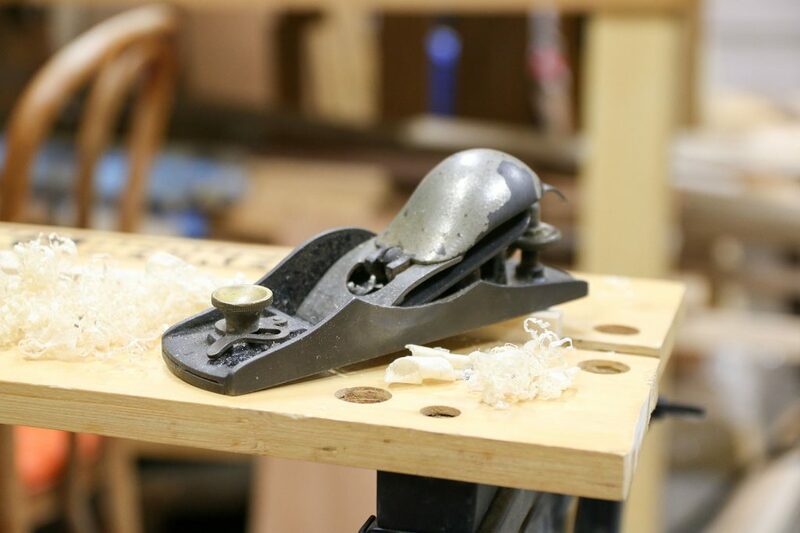 But one tool that has special meaning to me that I’d save is my Grandpa’s Stanley block plane. My Grandpa was the ultimate DIY’er and was a woodworker, metalworker, and general handyman. Unfortunately he lived in Florida and we lived in Tennessee my whole life so I never got to learn his trades from him. He passed away when I was just getting into woodworking and we went down for the funeral. My Grandmother was cleaning out his shop and told me to take whatever I wanted before they sold the rest. I grabbed this little block plane and a few other planes and hand tools, but I use the block plane the most. It’s got a cracked side and is well worn, but it cuts great with the original blade and reminds me of my Grandpa whenever I use it. This may sound sick, but I’ve gotta say I enjoy cleaning and organizing almost as much as I enjoying building. I’ve declared a war on dust in my shop so I’m regularly vacuuming the floor with the dust collector hose and sucking up chips and dust from drilling or cutting. It’s the immediate reward of cleaning that I really love. 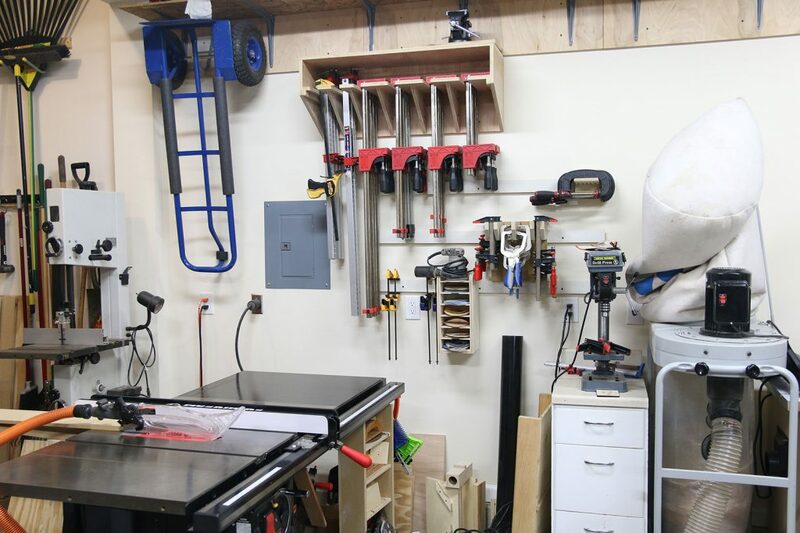 When my shop is a wreck I can spend 10 minutes cleaning and putting things away and make an instant change. It transforms the shop and puts me in a better mood ready to do more work. As far as an actual woodworking task, nothing beats putting on that first coat of finish onto raw wood. Watching the grain pop gets me every time. What tool do you covet that you currently don’t have? 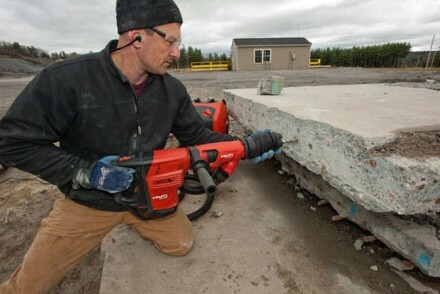 I have about everything I need right now, but there is one tool I’d love to have one day. I’ve been dreaming for years of owning a Woodmizer sawmill! It’s completely impractical since I live in a subdivision with tight houses and small lots, but I want one so badly. There’s just something about the idea of taking a tree from it’s original form all the way through the milling and drying process to building it into a finished piece that really connects with me. My parents have a cherry tree in their backyard that I’ve seen grow from a seed since I was a boy. I remember my mom thinking it was a weed when it first sprouted because we didn’t plant it, it just grew up one day. My grand vision is that one day I’ll cut it down, mill it into lumber and build an heirloom piece of furniture from it. At least that’s what I tell myself to justify the dream. What’s the next big project on the list? Like all of us my project list is long and always growing longer. I’ve got 3 big projects vying for my time right now. I’m going to build a whole patio set out of cedar including a couch, loveseat, coffee table and two side tables. That’s the one I’ll probably do first, but I’ve also committed to making my 6 year old son and 4 year old daughter new beds. They remind me weekly that I still haven’t built them yet, so their persistence and cuteness might just sway me into making those before I finish the patio set. When you can find time away, what do you enjoy doing? I’ve got an 8 year old son to go along with the other two kids (luckily he already has a nice bed) and I try to spend as much time with them and my wife as I can. I still work a day job, so between that, my family, and Fix This Build That there isn’t a whole lot of time for much else. I love taking walks around the neighborhood with the family and playing in the backyard with the kids. But if it’s a Saturday in the Fall you’ll probably find me in front of the TV watching my Tennessee Vols. 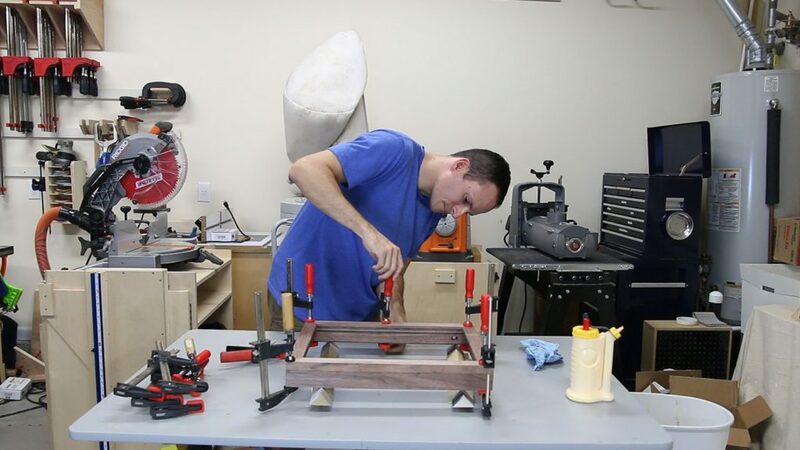 Follow Brad and his latest projects on Instagram, YouTube, and his website Fix This Build That.